First of all I would like to thank to Franco Lombardi, the actual car owner, for allowing us to take pictures and measurements of his car. There are only 4 A6 GCS that were designed by Aldo Brovarone in 1953 and bodied by pininfarina in 1953/54. These cars were born on the initiative of Guglielmo Dei, Maserati's Rome concessionaire and are regarded today as the most fascinating Maseratis ever built. This A6GCS pininfarina #2057 was sold new in 1954 to Pietro Palmieri. 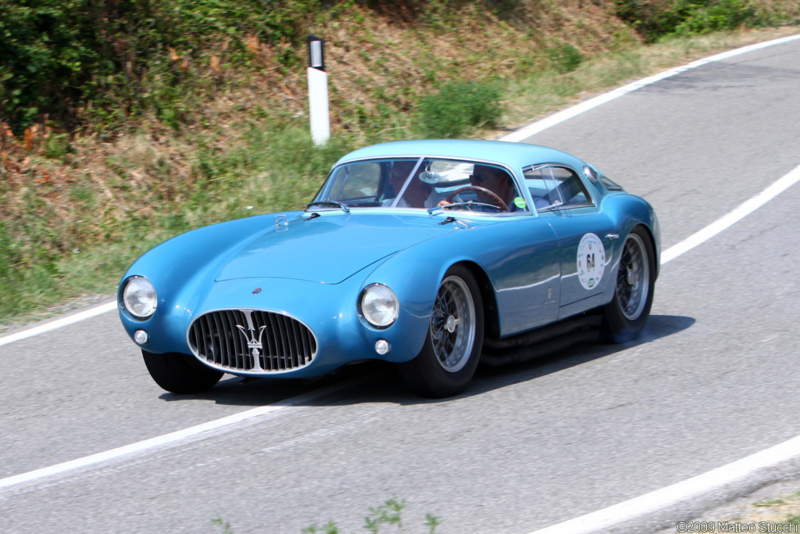 Compared to the other Pininfarina Maserati A6 CGS, it had a lower roof height. However excessive heat in the cockpit during the 1954 Giro dell'Umbria persuaded Palmieri to have the car rebodied has a two-seater roadster. The old bodyshell was kept by Guglielmo Dei and sold to Franco Lombardi in 1977. The Pininfarina body is now fitted to the chassis of A6GCS barchetta #2070 and the engine #2080 comes from an identical car. There was a limited and numbered edition of only 111 kits. the engine was not included in the kit but it was available as an upgrade. Some kits were be used by Mike Craig for a limited built series. Ref 03E : engine A6GCS + parts. upgrade for kit ref 3.